Blood cannot be manufactured, only donated. Less than 5% of the population volunteers to donate blood. Why is Community Blood Bank visiting my area? Community Blood Bank is in your community because it is the sole supplier of blood and blood products to your local area hospital. We were invited to the community by your local hospital to supply blood for local patients. In turn, we rely on local bloodmobile drives to help keep that supply constant and available to you 24 hours a day, seven days a week. Community Blood Bank takes pride in being a self-sufficient blood bank and is not affiliated with any other blood bank organization. How much blood do is needed? The Community Blood Bank relies on donors to donate approximately 500 units a week to maintain an adequate supply for the region. Donated blood is used for traumas, surgeries, burns, cancer, and other illnesses. The need for blood is there 24 hours a day, seven days a week. I've donated with another organization; do my past donations get recognized? Absolutely. Any donations you have made elsewhere are immediately recognized with the Community Blood Bank. For instance, if you’ve donated three gallons with another blood program, we recognize you as a three gallon donor with Community Blood Bank in support of your community. That’s what makes Community Blood Bank so unique and special. The blood you donate is distributed to Community Blood Bank hospitals, including your hometown healthcare organization. Working together, we can make sure our hometown patients are taken care of. 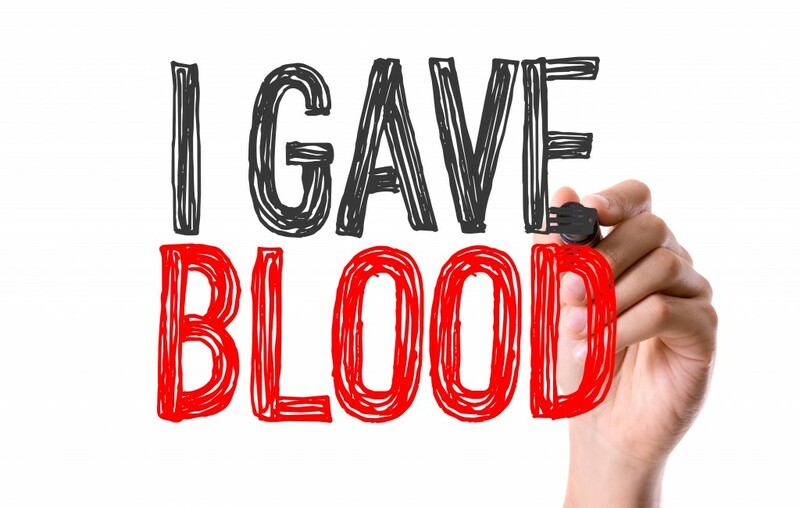 Donated blood provides life support treatment to accident/trauma victims, surgical patients, and to patients who are receiving treatment for cancer, leukemia, hemophilia, and other diseases. Find out more. Why is it so important to donate blood? Only five percent of the eligible public actually donates blood. That’s such a small amount so there is always a need for blood. We need an average of 100 units of blood a day to take care of patients. 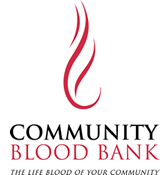 The Community Blood Bank understands how important your time is. Thanks to the convenience of the bloodmobile, donating blood only takes about 30-35 minutes. The bloodmobile becomes a very convenient way to donate, since the mobile unit can drive over to your local organization, church, school, etc. We come to you to ensure your hospital has the blood they need 24 hours a day / 7 days a week. What do I need to do before and after I donate? Make sure you eat and drink plenty of fluids. Your body responds to the loss of one pint of blood by signaling your bone marrow to go to work making new red blood cells. Your red cell level will be back to normal in less than 24 hours. Eat a good meal and drink a little more water than you normally would. Donors must be at least 17 years of age, be in good general health and weigh at least 110 pounds. You may not donate blood if you have had: Hepatitis, current active disease of the heart, lung, kidney, liver or stomach, cancer, severe diabetes requiring insulin or habituation to inject-able drugs. You may be temporarily deferred if you had close contact with hepatitis in the past 12 months, tattoos or piercing in the past 12 months, vaccinations in the past 24 hours, major surgery or blood transfusion, and pregnancy in the past six weeks. If you have traveled outside the United States, there may also be a time limit. Please visit Blood Donation Guidelines / Requirements for more information, or contact us. Blood is grouped into four types A, B, AB, and O. Each type is also classified by an Rh factor, either positive (+) or negative (-). When a blood transfusion is necessary, donor and patient blood must be compatible. Your ABO blood grouping and Rh factor are inherited from your parents. Check the chart below to see what percentage of the population shares your ABO grouping. People donating with Community Blood Bank will receive a blood donor card with their blood type on the card. Take our Blood Knowledge Quiz and see how much you know about your blood donation. 550 units of blood are needed every week to meet the needs of our local hospitals. Only 5% of the population donates blood. Eight out of ten of us will require blood or blood products in our lifetime. Much of today’s medical care depends on a steady, safe supply of blood from healthy volunteer donors. Donating blood takes 10 minutes to interview, 10 minutes to donate, and a few minutes to refresh. The interview process includes a mini physical and medical history, please make sure to bring a list of any medications your currently taking. One unit of blood can be separated into several components (red blood cells, white blood cells, plasma, and platelets). Red blood cells have a shelf life of 42 days, platelets must be used within 5 days and plasma can be stored up to one year if frozen. Accident victims may require 50 to 100 units of blood during their course of treatment. Many cancer, trauma, and surgery patients require transfusions to survive. Bone marrow transplant patients need platelet donations from an estimated 120 people and red blood cells from an estimated 20 people. If you started donating at 17 years old and donated every 56 days through the age of 76, your donations will be equal to 48 gallons. 4.5 million American lives are saved each year through blood transfusions. There are 1 billion red blood cells in 2-3 drops of blood. Someone needs blood every 3 seconds.